How could something that begins with this screen possibly be bad? 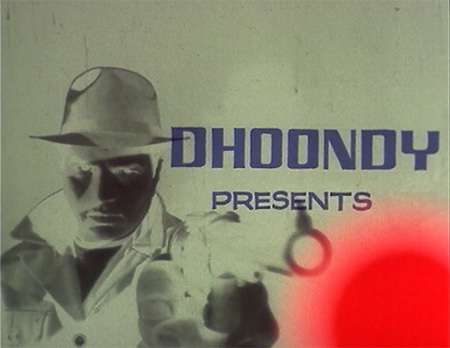 Dharmendra as James Bond Agent 116! 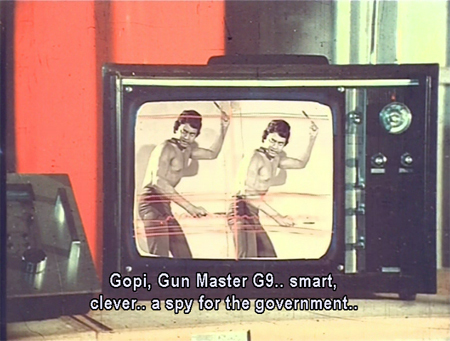 A great many more title screens follow, with more good news: Padma Khanna, a very young Rekha, Prem Chopra in a blond wig and pink rimless glasses—ooh! 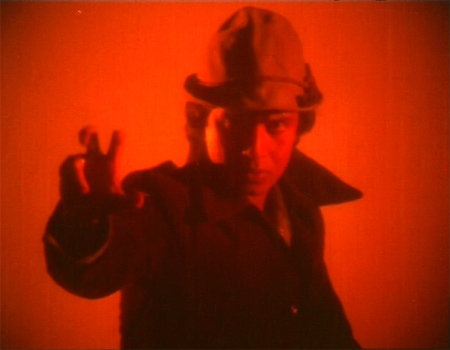 my man Ranjeet!—Jayshree T, Rajendranath, Agha, KN Singh…the list goes on. I settle happily in my chair, looking forward to some stylish and loony shenanigans. But I’m in for a little surprise. So stylish! So much of eye candy! One of those rare films to make Excellent Use of Helen (and inspiring me to add a category here), The Train is oodles of filmi noir crime-fighting fun. 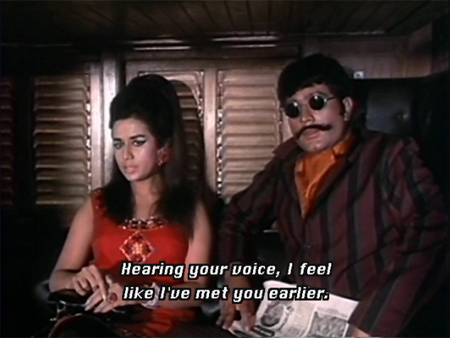 It also has one of the best RD Burman background scores EVER, with RD himself adding vocals. Just listen to this! 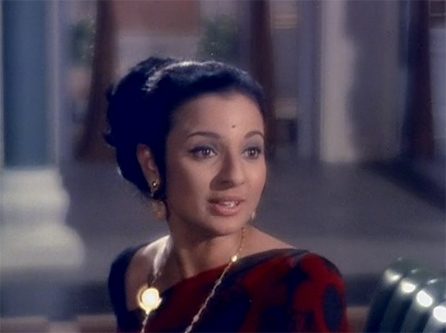 It stars a young, very handsome Rajesh Khanna *sigh* and one of my favorite heroines, Nanda, along with an absolutely hilarious Rajendranath; Madan Puri and Shetty provide the villainy. 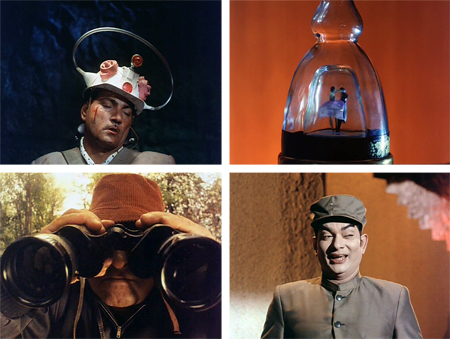 Despite an extremely silly plot with gaping holes and mind-boggling suspension of disbelief requirements (especially at the end) it is well worth the time spent watching—and I have lots of screen caps to prove it!